Sunday isn’t the dining apocalypse it once was in SLC. There are now many restaurants open Sunday in Salt Lake City, and the following are some the best. 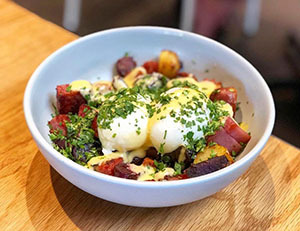 Sundays in SLC can be so much more than a boring old roast dinner – you can find everything from sushi to steaks to…well, you name it, you can probably find it these days in Salt Lake. * Complete list of restaurants open on Sunday in SLC – more than a 150 choices, fine dining to casual and fast food. * Restaurants near me now – let us look at your location and tell you the closest places to you right now for Sunday dining. 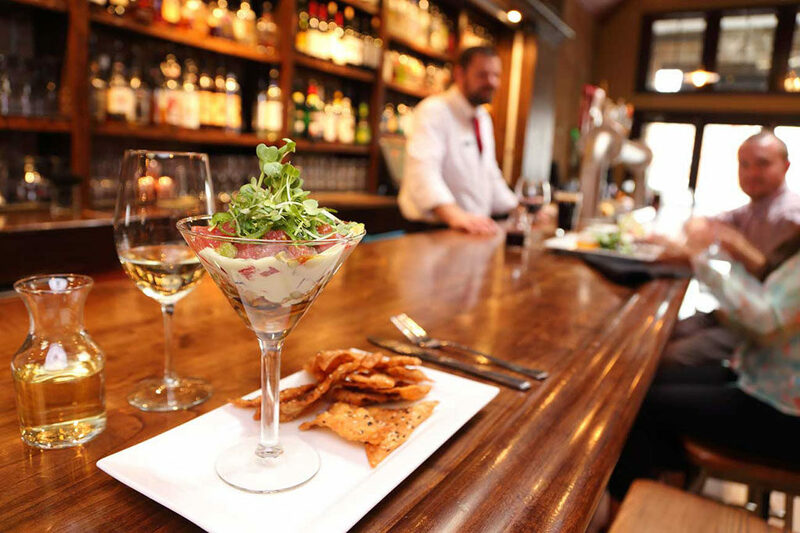 Located side by side, these twin businesses both offer the same reliable Sunday dining solution; each offers a full bar, a gourmet bar menu and comfortable digs, open all day long. Start at one, finish at the other, or just hang out all day long from bunch to dinner. 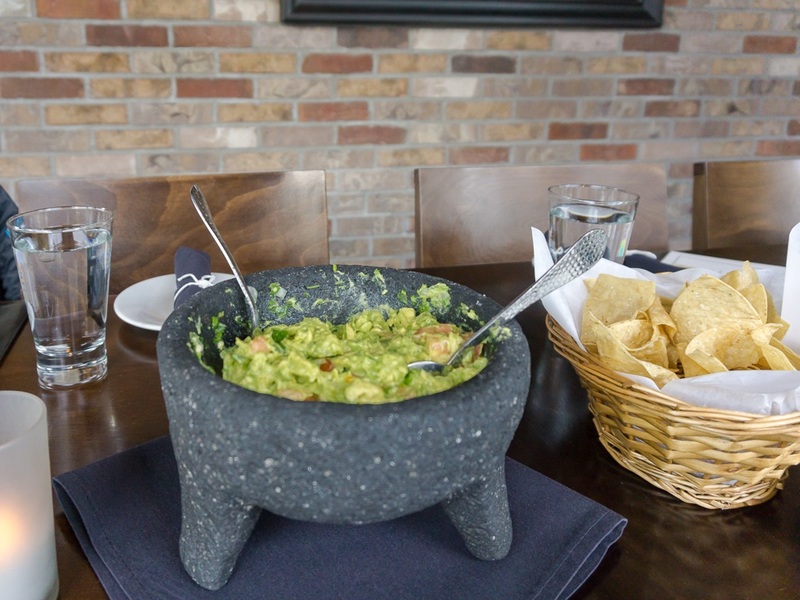 Elevated South of the border cuisine in the heart of Salt Lake City. Chef and owner Matt Lake crafts refined Mexican cuisine seven days a week – and gets bonus points for serving up Sunday supper too. You can read more about the restaurant and the chef’s ethos here on our 2016 review of Alamexo. 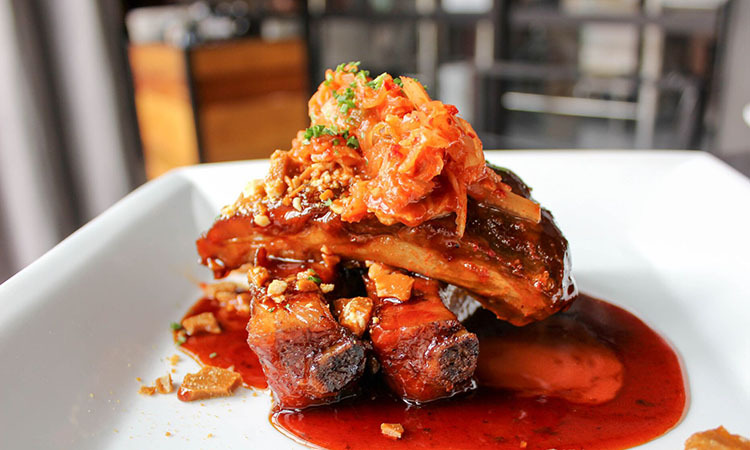 – This gastropub in the SLC Avenue’s neighborhood is perfect for any meal – but it makes a great Sunday destination. 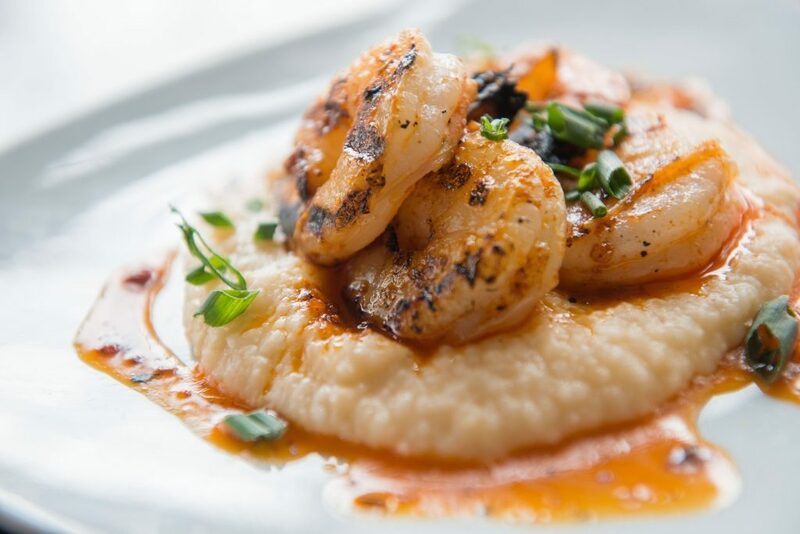 Not only a fun place for weekend brunch the micro craft brew pub also serves up a stunning lunch and dinner menu too. 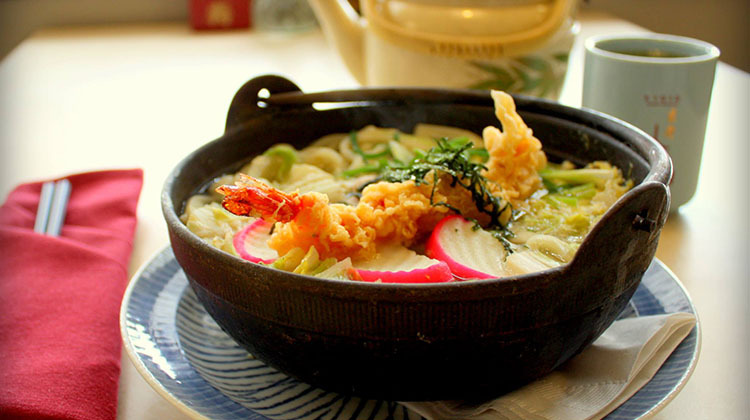 Open on Sunday until 9 p.m.
Home to hands down the best tempura in town, Kyoto Japanese Restaurant offers a classic Japanese menu packed with comforting flavors you crave. Open for more than three decades, the restaurant offers dishes such as tonkotsu and teriyaki amid a full sit down sushi bar. Beer, wine and sake are also available too. The restaurant is open until 9 p.m. on a Sunday. Chef and owner Jen Gilroy was one of the first to bring small plates dining to SLC. You might call the menu here tapas, but in truth, it diverges quite a ways from traditional Spanish plates. Instead you will find fun, creative small plates, using seasonal and local ingredients. There’s a hand curated wine list and the restaurant is open on Sundays until 9 p.m.
From the same guys behind Avenues Proper is this second restaurant, also open on Sunday. 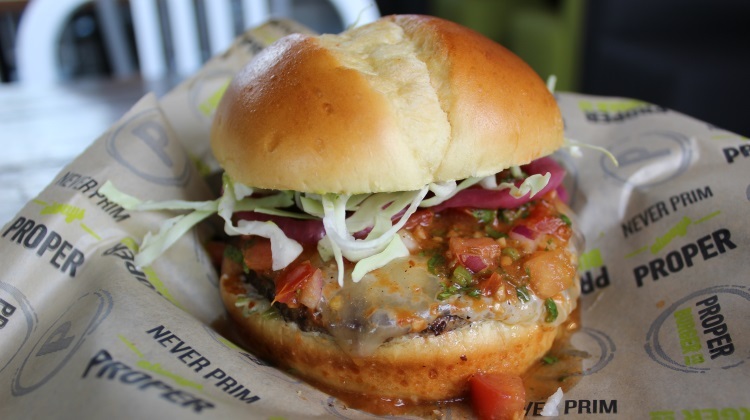 The burger focused eatery has a range of delicious gourmet burgers, all of which you can customize to your own needs. Vegans and vegetarians will also be happy to find their needs catered here too. Proper Burger is open on Sunday till 10 p.m. If you don’t want to go home, just go next door to Proper Brewing which is also open till 1 a.m. on a Sunday. Fancy a food ol brew pub menu? 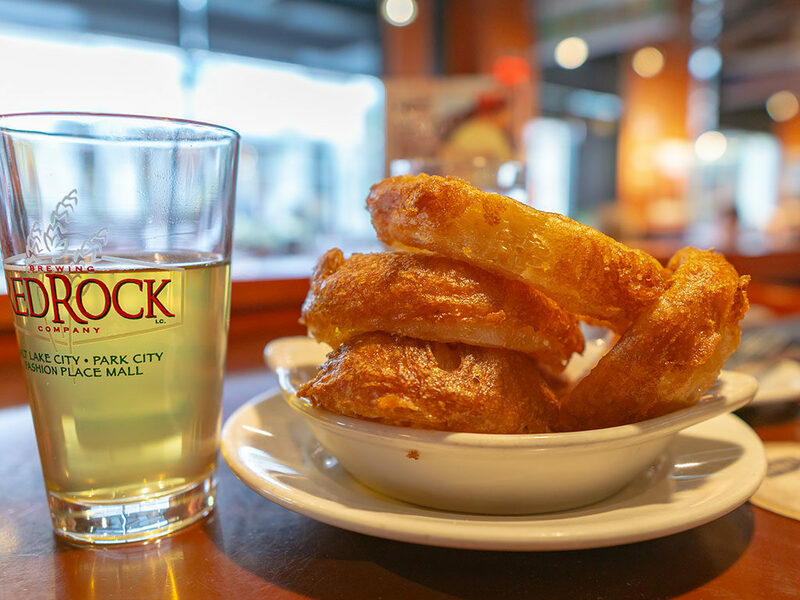 Our favorite brew pub in Utah is Red Rock with locations in downtown SLC, Fashion Place Mall in Murray and up in Park City too. 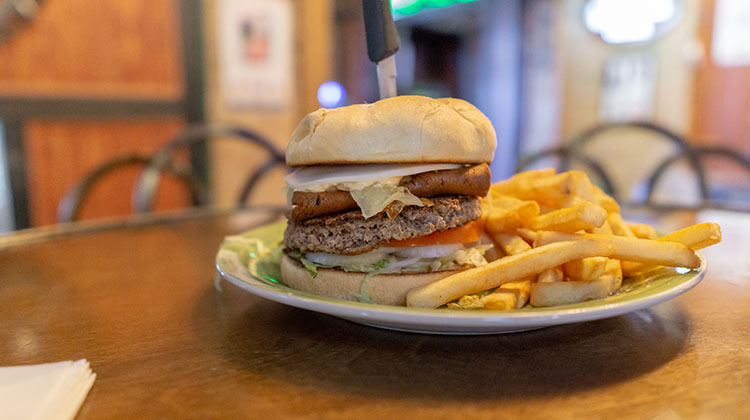 Each offers the classic breww pub experience – craft brews with a mega menu packed with pizza, burgers, sandwiches, entrees and more. All three are open on Sunday, but keep slightly different hours. Murray | open till 9.30 p.m.
Park City | open till 10.00 p.m.
With three locations across the valley (Avenues, Sugar House, South Jordan), Saffron Valley has you covered wherever you are in SLC. 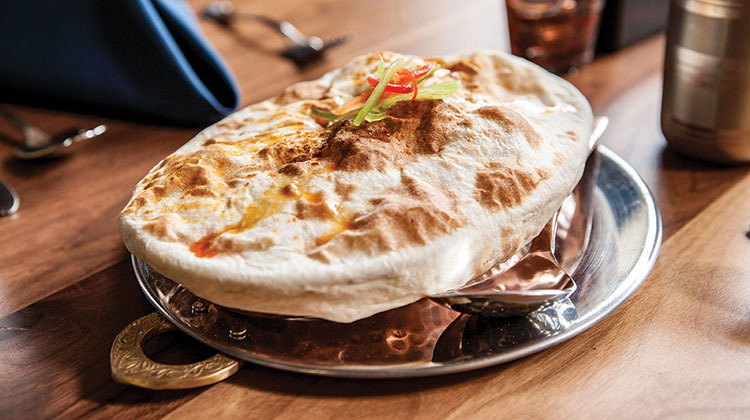 Each menu is slightly different, as owner Lavanya Mahate seeks to highlight less known dishes from around the Indian sub continent. All three locations are open till 9 p.m. on Sunday. Sugarhouse BBQ in, um, well, Sugarhouse(!) has been delighting locals for decades. In 2013 the restaurant moved digs to a newer, more spacious outlet, that also offers a handy drive through window for ‘to go’ orders. 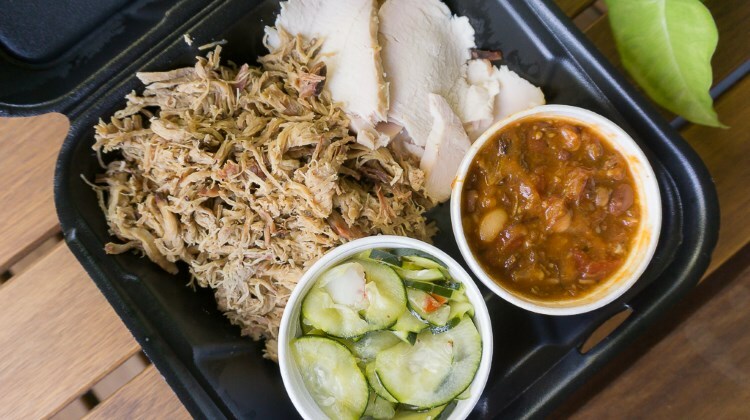 The restaurant’s staples of Memphis style barbecue are also back by a full bar too should you want to order up a cocktail or local craft beer while chowing down on your Sunday BBQ. Pictured dish: smoked turkey breast salad. 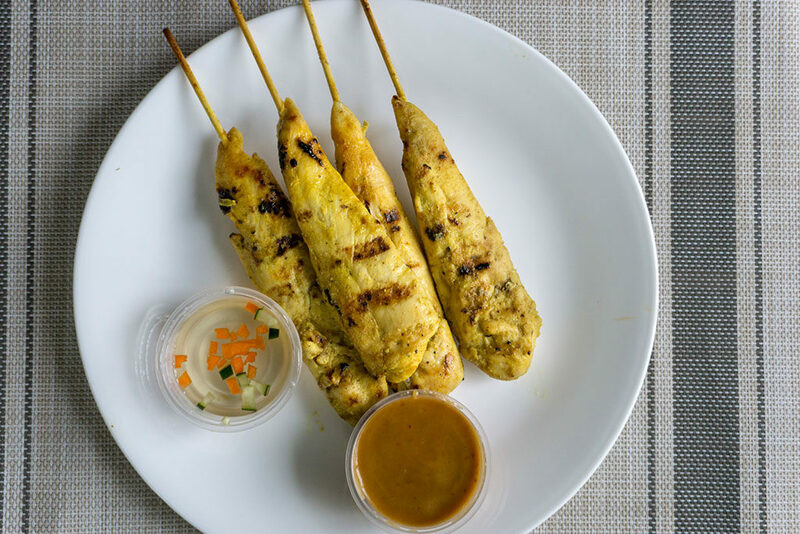 This mom and pop Thai eatery in South Salt Lake is perfect for Sunday dining. Dine in, take out, get delivery or even stop by their drive thru after placing a to go order. Yep, rain or snow, you don’t even have to leave your car for those rainy Sundays. 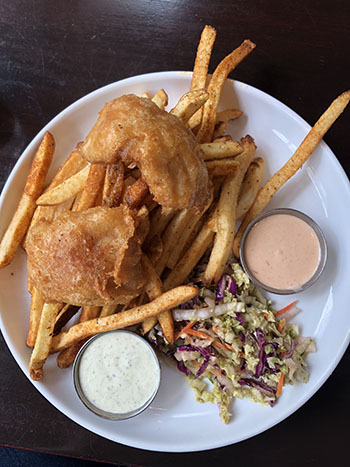 Piper Down on State Street is open seven days a week offering a menu full of delicious pub grub; not to mention a full bar loaded with great beers and whiskey. What’s more Piper Down does so offering both a full vegan friendly menu too! Kick back, order up a burger and fries and relax. Again, this list is far from complete. You’ll find hundreds of restaurants open here in SLC on Sundays. Be sure to check out these two links to our sister site SLC Menu to find even more Sunday menus.